When it comes to kicking hunger, no contribution is too small! As Executive Chef and General Manager of SHY Cellars, Tara Schie is representing the Akron-Canton Regional Foodbank at the annual NFL's Party with a Purpose on February 2, 2019. SHY Cellars hopes to raise $10,000 by the day of the event! Every dollar donated provides up to 4 meals for individuals and families facing hunger in our community. 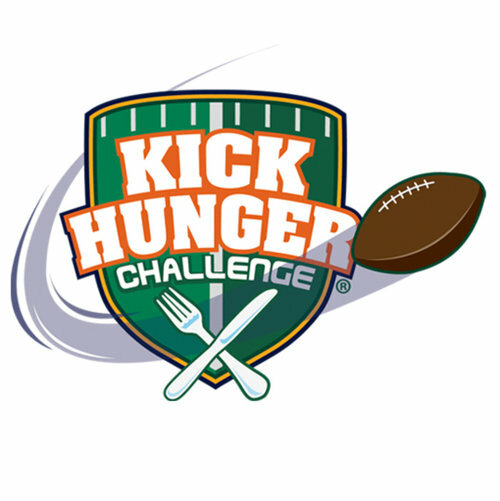 At the end of the Kick Hunger Challenge, 100% of all dollars donated will directly benefit your Akron-Canton Regional Foodbank. To get in the game, donate to end hunger in the name of The Pro Football Hall of Fame!